Francis Bacon was one of the most powerful and enigmatic creative geniuses of the twentieth century. Immediately recognizable, his paintings continue to challenge interpretations and provoke controversy. Bacon was also an extraordinary personality. Generous but cruel, forthright yet manipulative, ebullient but in despair: He was the sum of his contradictions. This life, lived at extremes, was filled with achievement and triumph, misfortune and personal tragedy. In his revised and updated edition of an already brilliant biography, Michael Peppiatt has drawn on fresh material that has become available in the sixteen years since the artist’s death. Most important, he includes confidential material given to him by Bacon but omitted from the first edition. 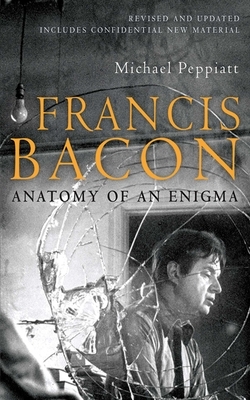 Francis Bacon derives from the hundreds of occasions Bacon and Peppiatt sat conversing, often late into the night, over many years, and particularly when Bacon was working in Paris. We are also given insight into Bacon’s intimate relationships, his artistic convictions and views on life, as well as his often acerbic comments on his contemporaries.